For successful and dominating online survival, you need influential and appealing Web Design and Development. And to deploy influential web presence, you need to contact proactive PHP / ASP.net Web Development Company having wide exposure to all the segments of web development. At Jupiter, we fuse ingredients of PHP with the expertise of our programmer to deliver results that are truly fertile and yield more ROI. We undertake project after thorough analysis, detailed prototyping, methodological planning with management for high quality web development to eradicate any error related to development. Our PHP Web Developers have expertise in delivering front-end and back-end solutions having amazing compatibility multiple databases, different internet protocols, APIs along with open source solutions. Jupiter offers services ranging from creating Data Libraries to Shopping Carts, Payment Gateways, Web Portal Development to Knowledge Management kits and Discussion Boards. At Jupiter, we believe in the evolution of simple websites into interactive cost saving as well as revenue generating centers. Our team specializes in offering customized solutions which suit your business needs best. We use latest Microsoft Technologies and Linux platforms to build practical and easy-to-implement applications for clients' websites. New technologies are creating quite buzz in the area of website development these days. Therefore, web programming and web developers now play a significant role in high-end web development for modern internet business solutions. Jupiter’s web development team works with latest tools and releases such as PHP 5+ and offers a set of services so that you can easily conquer new horizons of success. PHP Framework enhances the security aspects, makes website user-friendly, easy to upgrade and ultimately reduces overall development time and cost. Jupiter as a Web Portal Development company in Mumbai has pioneered the domain and has successfully executed top of the line portals that incorporate the latest technology and most interactive options to attract users to your website. Our expertise with web portal development and portal maintenance extends to cover all possible needs. We have designed and developed multi dimensional web portals, be it B2B portals , B2C portals (Business to Consumer), E-Commerce portals, Job portals, Matrimonial portals or even Share Point Portal Development. Web Portals primarily focus on online community building and get users to register and use the services on regular basis. Theme based portals have become very successful as they create a target specific user for that community Portal development is one of the way to bring together the different web based applications to support the delivery of information and services by a system that is convenient, effective and incorporated. This system gives users easy access to the information needed. We have a dedicated Team who sees to it that the portals are to the best in line when it comes to the functionality and interface. We have proficient web portal development team who is an expert in use of different web application development platforms like PHP, Silverlight, Adobe Flex, ASP.NET etc. The highly competitive atmosphere on the net, changing demands and availabilty of latest web developmet technologies drives our endowed developers to create resourceful web solutions for your business so it gets the necessary levearge over your rival's business. Why Web Development from Jupiter? To high-end results in web development, Jupiter, a professional PHP Development Company offers expert PHP Web Development Solutions leveraging the expertise of professional Custom Website Designers. When your website possesses certain problems in functioning at times, you wish that there was a solution to it so that you did not have to encounter that problem. Well, the truth is that there are methods to resolve complications and this is what custom web application development services are all about. It is important that that when you run an application on your website and direct it towards increasing your business, you must take quick steps to resolve the problems occurring in the applications. Custom application development is a means to that end. So, when you partner with agencies that provide such services, you are at the receiving end of services like developing client and server application, managing databases, developing distributed application, integrating existing systems with the new applications and maintaining the applications to give you a full resolution of your issues. All these services combine and spell glitch free application performance in your software. As already mentioned, this means that the agencies create and develop software application as well and tailor it to your requirement. The custom software application development services available in the market make sure that the functions within a website are smooth and easy flowing. The main reason that Jupiter Web and Website Services, a custom application development company located in Thane, Mumbai scores over others is because we have a panel of experts who are extremely well versed with the technologies that are used in custom application development. We follow a proper plan of understanding the problem first, discussing with you about the solutions that you want, and then customizing the solutions that we intend to provide. Web Portal development primarily focus on online community building and get users to register and use the services on regular basis. Theme based web portals have become very successful as they create a target specific user for that community. Portal development is one of the way to bring together the different web based applications to support the delivery of information and services by a system that is convenient, effective and incorporated. This system gives users easy access to the information needed. At Jupiter Web Services,located in Thane, Mumbai we have a dedicated Team who sees to it that the web portals are to the best in line when it comes to the functionality and interface. Developing a web portal requires a strong IT professional team having expertise in marketing, planning, strategy making, designing and executing. Jupiter Web Services with all these qualities stands ahead in web portal development. We understand importance of the business of an individual and hence, we work enthusiastically to meet the expected goal. The web portal developed by us always offers all the required benefits to the client. Further, the audience approaching the portal finds it easy, effective and friendly to us. Jupiter Web and Website Services is considered as one of the finest web portal development company India because the range and quality of services we offer cannot be found anywhere else. It is always essential to understand the business needs and goals of an organization before developing a web portal for the same and hence, our web portal developers study the project effectively, so that they can offer maximum advantages to the clients by applying all the logical and exceptional elements to it. 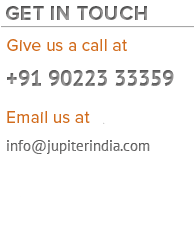 We are the best option for web portal development not only in Thane, Mumbai but around the globe. To top it all, our support comprises of maintaining and operating the application created, integrating it with existing system, and configuring the existing tools to help function with the new addition. The market of custom application development is emerging not only in Thane, Mumbai but throughout India and we are at the front row of it. We are aware of the latest trends followed by our competant custom web development companies, so we know what to offer and what our wide base of clients from across the globe will like.